Mycorrhizal Mediation of Soil: Fertility, Structure, and Carbon Storage offers a better understanding of mycorrhizal mediation that will help inform earth system models and subsequently improve the accuracy of global carbon model predictions. Mycorrhizas transport tremendous quantities of plant-derived carbon below ground and are increasingly recognized for their importance in the creation, structure, and function of soils. Different global carbon models vary widely in their predictions of the dynamics of the terrestrial carbon pool, ranging from a large sink to a large source. 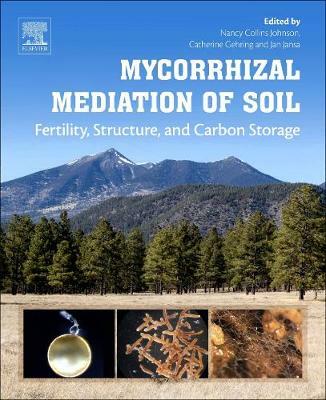 This edited book presents a unique synthesis of the influence of environmental change on mycorrhizas across a wide range of ecosystems, as well as a clear examination of new discoveries and challenges for the future, to inform land management practices that preserve or increase below ground carbon storage.